Sunstate Pest Reports trained and accredited testers carry out a standard screening of the property. Sunstate Pest Reports screening kits will determine a positive or negative result. Sunstate Pest Reports reporting procedure records all tests carried out with a full photographic journal detailing the location, date and time of test. This is done using Sunstate Pest Reports cloud based real time reporting system, a process compliant with both OSHA and NIOSH. 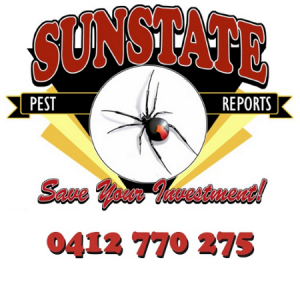 If the reading is above 0.5μg/100cm², an Sunstate Pest Reports report provides you the necessary information to make an informed decision on what to do next. Sunstate Pest Reports can also provide training and testing kits for property owners and property managers wanting to carry out their own tests. The perfect solution for screening between tenants, pre-purchasing and pre-sales screening. Landlords everywhere need to understand the importance of educating themselves on meth labs and use in rental properties, especially on the physical dangers and the immense financial impact. Many cities across Australia are seeing a rise in the production of methamphetamine, or meth / ice. When people move into a dwelling they are most likely to be unaware of previous illicit operations. These individuals may have family members who include infants and young children, are pregnant, elderly, frail or have compromised health, placing them at increased risk. Methyl-amphetamine contamination may persist for years on all surfaces in the home, including within the building materials. The most significant effects related to methyl-amphetamine exposure, include: neurochemical changes in areas of the brain that are associated with learning, potentially affecting cognitive function, behaviour, motor activity and changes in avoidance responses; psychotic, physiological and behavioural / developmental effects that include violent behaviour, depression, irritability, hallucinations, mood swings, paranoia, mood and sleep disorders. Prolonged exposure to methyl-amphetamine also causes cardiovascular effects including increased heart rate, blood pressure and at higher or sustained exposure, chest pain, hypertension and the risk of stroke (Ministry of Health 2010). How Many Labs Are Out There? The growth in Labs in Australia is not slowing down. For the hundreds of detected labs, there will be many thousands more labs that may never be identified and will continue to operate until eventually abandoned leaving property owners with the clean up. The making and smoking of meth contaminates property, leaving owners with significant repair bills and placing property managers at legal risk. About 1 in 10 clan labs are thought to be detected in Australia, while others continue to operate until they are eventually abandoned or relocated (Newell 2008). The number may be higher than this as data from New Zealand indicates that 32% of frequent drug users in 2011 indicated that they cooked (or had an attempt at cooking) their own drugs (Wilkins et al. 2012). Methamphetamine is also known as Meth or Ice and is a very addictive drug. Meth is usually smoked but can also be dissolved in liquid and injected or snorted. People can be addicted to meth which affects the central nervous system from the first time they try it. Meth is fairly easy to make and can be manufactured from common household items almost anywhere, including suburban homes. Is there a difference between a house lived in by a meth user and a property used as a meth lab for manufacture? If the house has been used as a meth lab then the levels of contamination are likely to be higher than in a property that has just been used by people who smoke the drug. If the manufacture has been on a large scale, contamination may be even higher. Does living in a meth contaminated house cause health problems? There are some health issues that have been associated with living in meth contaminated homes. These include respiratory issues, headaches, dizziness, nausea and skin problems. Often it is these unexplained issues that lead people to suspect their property may be contaminated. Links between meth contamination and other more serious health problems are still be researched, but studies suggest it can be linked to more serious respiratory illnesses and possible even cancer. Can I tell if my home as been used for smoking meth or as a meth lab? It is actually very difficult to tell whether you are living in a meth contaminated house. This is especially true if it was just lived in by meth users and contamination levels are low. There may be some signs such as missing lightbulbs, a lot of rubbish around the property and reports of a high number of visitors, especially at unusual hours. stains on the walls or floors or evidence that these have recently been cleaned to a higher level than you might reasonably expect someone leaving a property to do. The only way to know for definite if you have a meth contaminated home is to get professional meth house testing undertaken. This will give you a definitive answer and allow you to plan your next steps if necessary. Who should consider getting a meth residue drug test? Home buyers: getting a meth residue drug test before you agree to buy gives you important information. You can either go ahead with the sale with confidence if the result is negative, or, with a positive result, either back out or negotiate with the vendor. Homeowners: if you have been having health issues or something your neighbour has said has worried you, then home meth testing could give you answers. Tenants: ibefore you agree to rent a property ask if the landlord carries out meth testing and, if not, ask for a test before you sign a contract. This will ensure the property is safe and also protect you from potential issues further into the tenancy. Landlords: think about getting meth testing carried out between tenants to ensure there are no issues and when you add a new property to your portfolio. Real estate agents: offering meth testing as part of your agent services can help both vendors and buyers. What happens when I get meth residue testing done? The first test carried out is usually a yes/no test with swabs taken in several areas of the property. This will tell you whether meth contamination is present or not. If the result is positive further tests can be carried out to show the levels in different parts of the house. This will help you decide on your next actions. If decontamination work is needed, you should get the house tested again after the work to ensure levels are now safe. How much work will it take to decontaminate a house? This will probably depend on whether the property was used simply by people who used the drug or as a lab to manufacture it. It may also depend on the length of time the property was used and the levels of meth contamination recorded. What might have to be removed or cleaned? In most cases, things like curtains and carpets and any remaining furniture will need to be replaced. If the contamination is more severe then you may need to have countertops and other fixtures and fittings removed. In very severe cases the house may need to be stripped back further with gyprock and ceilings removed. Anything removed from the house will need to be disposed of properly. What should I check when picking a meth decontamination company? Sunstate Pest Reports does not undertake meth decontamination but can recommend a cleaning company for you if needed. What needs to be done after the property has been decontaminated? After decontamination a further meth residue drug test should be arranged to ensure that levels are now within safe limits. The Australian Standard is 0.5µg/100cm2 of meth.